This Historical Snapshot Page is designed to introduce you to our Wrens Stone Family. Acknowledge our African American Family Ancestors, our Stone Family's History and Historical Events as we know it in words and pictures. Louis Stokes is a 30 year retired Ohio Congressman. Currently, Louis Stokes is a Senior Counsel at a prominent International Law Firm, a distingiushed Educator, a Living Historical Figure, an U. S. Urban Legacy, Hero and Legend. Most importantly he is a Stone Family Elder. Louis Stokes has had an illustrious political career. His life long public reputation is one of Integrity, Compassion and Diligence. He is a man who is willing to extend himself and his time to selflessly help, articulate, advocate and eagerly defend the rights for disempowered, disenfranchised, the working poor and dispossed people in America. He has rentlessly advocated for social policy issues, civil rights, education, health care reform and numerous important social policy initiatives for beneficial changes on behalf of the citzens of Ohio and the American Nation for over a half century. His poignant leadership, tireless work ethic and mentorship with the CBC (Congressional Black Caucus) has had a profound impact and influence on the career paths of many of today's elected African American Political Officials, Community Leaders, Activists and Citizens. He is generous with his spirit's time and energy. Especially, with sharing quality time with his family and friends. Whom he shares an incredible loving bond. He enjoys people and forging friendships. It is a pleasurable experience to meet him in person feel, experience and see his life's force energy. He has an attitude of gratitude. His demeanor and decorum is respectful. He acknowledges the presence of others within his reach. He is gracious with his gestures, social interactions and engaging with the public. He attenatively listens and gives people his ear and full attention when people speak with him. He is a soft spoken, peaceful and tranquil man that has exceptional prolific oratorical skills and fearlessly expresses himself wherever he goes. In his presence one feels a sense of profound respect, dignity, strength, assurance and security. 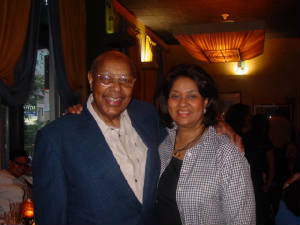 Louis Stokes is truly a remarkable empathetic and compassionate human being. He is a Noble Man, a Gentleman and a great warrior for social justice. We are Blessed, Honored and extremely Proud to have him as a Stone Family Elder. It is wonderful to know him. If you dont know him or have not had an opportunity to meet him especially, if you are a family member, write or call him. He is an admired positive Stone Family role model and an outstanding Elder. Louis Stokes is an excellent example of "an overcomer". He is a successful determined and focused achiever. He has deliberately risen above the myths, restrictions and negative limitations imposed and set by society for African Americans. Louis Stokes is part of the third Generation of African American Stone Family Members. Our Stone Family African American Surname, American Ancestors lineage and roots are originally from a place called (Jefferson County Georgia) Wrens, Ga. In spite of the premature and unexpected death of Louis father, Charles Stokes, at age 2 1/2 years, being fatherless, raised in a single parent home and humble family origin beginnings did not deter him. Stereotypically, he was considered a disadvantage underpriviledged at risk Black Cleveland Youth. Louis credits his mother, Louise Stone - Stokes, for influencing the course of his life. He often states she was loving, caring, encouraging, devoted, hard working and supportive devoted mother to her family. Despite the times, Louis determined not to be defeated by circumstances forged ahead and overcame the odds, the difficult times, the social oppressive conditions, racial barriers, social restrictions, struggles, unknown and unforseen life challenges.He did not allow others to choose his fate or destiny for him. Nor did he allow or let adversity or anyone else stop or impede him from cultivating his innate abilities and talents. He challenged the challenges of his life. 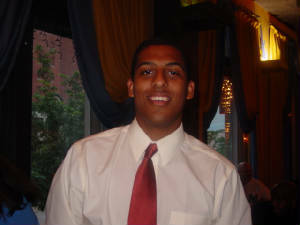 Along the way with the personal guidance of his mother, Louise Stone - Stokes, and family he learned to make critical discerning life choices and decisions based on his interests, desired personal goals and life plans. It is the inner choices and decisions that he made from the essence of his being's inner core and soul that helped shaped his future. He has been able to self master his personal power, command his mental power and abilities to manifest and realize a better life for himself and his love ones with his faith, trust and belief in God. There is an old saying that holds truth for those that understand "God helps those that help themselves". Louis Stokes political career accompishments and personal life achievements are not random acts. His success did not happen by luck, chance or happenstance. It was the deliberate directed concentrated energy of his mind, unwavering beliefs and convictions, sheer determination and personal efforts that has made him a successful man. Even though, his options "appeared limited" he self defined his personhood, what he wanted for his life and focused on his goals. He initiated, executed and navigated his life's plans with inner resolve, self determination, confidence and courage. As the result of his personal commitment to himsef and his dedicated efforts he has emerged as a man of distinction, the Honorable Louis Stokes. He has received innumerable well deserved academic honors and prestigious civic awards for his tireless work ethic and dedicated advocacy efforts. Prestigous Educational Fellowships, Schools and Libraries are named after him in his honor. He is active Board Member of several major US organizations. Louis Stokes has an incredible political career and an amazing inspiring life story.We encourage him to write his memoirs. Louis and his beautiful intelligent wife Jay have been successfully married for over 46 years. FYI: New Window Will Open For The Links Below. Do You Know Who Are Cleveland, Ohio Famous African American Residents? Read Remarks about Billy & Brother (Louis & Carl Nick Names). 19th & 2oth Century Black & White Vintage 2nd & 3rd Generation Stone Family Legacy Photographs Coming Soon!!!. Historical Stone Family Documents and Stone Family Heirloom 19th & 20th Century Black & White Vintage Legacy Photographs are Archive at a Digital storage and retrieval site. It will be linked to The Stone Family website.This section is exclusively for Stone Family Members private viewing. Password is required. Eric Hammond is a 5th Generation Stone. He is one of Louis Stokes Grandchildren. Eric Hammond makes a political stand and a statement at his University for Civil Rights Activist Harry Belafonte. Read Harry Belafonte interview comments after his University visit.
" A Family Legacy To Remember"
Our Stone Family Virtual Historian will give an oral Stone Family Documented History Narrative in the near future. We will asscoiate historical events with a particular Stone Family Generation and Selected Indivuals. You will be able to have an enjoyable listening and engaging interactive historical experience from the comfort of your chair at home. Hopefully, our shared family history and stories will come alive for you. Maybe, it will inspire and motivate you to call and connect with family members to gather your family's history. If you have already gathered your family's valuable oral history, documents and cheerish priceless photographs may you will be inspired to "Tell Your Story". The Stone Family Commemorative Legacy 2004 Photograph Collection Coming Soon for viewing! What are our Stone Family New Year & Future Website Goals & Intentions? Keeping in the African oral tradition we envisioned, we will have a knowledgeable, dynamic and vibrant Stone Family Member give you an in depth oral Historical Overview and Description of our Stone Family Ancestors and Family History. We, also, plan to ave a Stone Family Historical Streaming Video Library and the Voices of Wisdom Biographies and Personal Family Stories told by our Stone Family Elders to be the cornerstones and one of the viewing attraction of our Virtual Stone Family Historical Collection. Visitors will be able to view a collection of Historical Documents, Family Heirloom Letters and Postcards. Please contact us if you have documents & / or photos you would like to share & / or donate towards our WIP Project. African American Family Oral History Story Tellers & Griots. Perserving Cultural Traditions. This is an exciting year for our Stone Family. We have family members actively involved in our Stone Family Legacy Committee. A Stone Family Legacy Member Currently Researching and Collecting Georgia Family Roots Documents To Preserve Family History & Author Family Book. Stone Family Legacy Committee Members Conducting Personal Telephone, One on One Personal Visits & Interviews With Elder Family Members In N.Y.C., Atlanta & Wrens, Ga.
Coming Soon Our Family's Jenkins Surname Lineage Will Be Added To Site!!! Next Jenkins Family Re-Union Schedule For August 2007 in Va. Beach. Family Members Gathering Family Photographs and contributing To Family Site. Stone Family Member Louis Stokes In The Process Of Writing His Memoirs. The Stone Family Site has been set up for your visit's convenience. Searches have been made and sifted through for the Best Genealogy Referral Sites. Family History Reseachers and Visitors searching to find ancestors, family members and lost relatives can conveniently select choices of several underlined link options below from the comfort and privacy of your home. Easy Point & Click to search and retrieve reliable online sources, documented data, access to 24/7 information and resources. FYI: The underlined links below on this page open new windows for you. Please notify the WebMistress if, you experience broken links. Thank You. The WebMistress. Current Information on Wrens, Ga.
Visit Interment.net for cemetery records online. On this page we'll briefly introduce and acknowledge our Stone Family Ancestors in America and our family in words and pictures. We will start with our 19th Century Ancestors Mariah Brinson. Unfortunately, Mariah did not know her mother or her father. However, she had two sisters, Annie and Callie. The 1880 and 1900 Federal Census records indicate that Mariah was born between 1840 and 1842 and she die in the year 1916. Mariah 1st marriage was to Seaborn (Sebram) Brinson. Their daughter's from this union was Fannie, Jane, Leslie and Mary Brinson. Mariah's 2nd marriage was to Prince King. Many of Mariah's and Prince King descendants moved and settle in the Newark and Teaneck, New Jersey area. Mariah's daughter Fannie Brinson from Wrens, Ga. born in January 1863 married William "Papa" Stone born on March 18, 1854 to the parents of Matilda and John Stone. There is no oral or written record for Matilda's last name. According to the 1870 Census there are two John Stones listed. One born 1825 and the other was born in 1835. John Stone was a man that was enslaved. He had eight brothers and sisters. Some were sold, from the old slave market in Louisville, Georgia, (15 miles from Wrens and 10 miles from Wadley, Ga.) to the Stone Family and some were sold to the Brown Family. John Stone and his sibblings came to Jefferson County Georgia from Virginia. Legend has it John Stone and his family were marched / walked from Virginia to the Louisville Slave Market. John Stone lived on Albert and Wilbur Stone Plantation and he married Matilda. John Stone, also, had a family beside his sibblings on the Dove Brown Plantation. 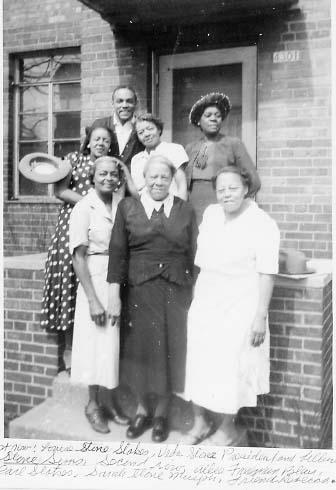 Fannie Brinson - Stone had resillient, strong willed and determined children especially, her daugthers who all but one migrated North to Philadelphia and Erie Pa., New York and Cleveland, Ohio during the 20th Century for economical opportunities. The Stone daughters all had children. They were our grandmothers, aunts, and role models. We pray for the eternal rest and peace for our love ones: Veda Stone - President, Estella Stone - Freeman, Lillian Stone - (Jenkins) Sims, Sebram Stone, Wylie Stone - Jenkins, Fred Stone, Sarah Stone - Murph, Louise Stone - Stokes and Redi Stone - Fleming, Pughley (Doc) Stone and William (Boy) Stone. 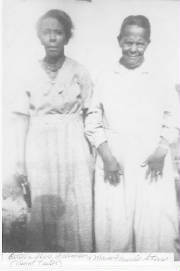 According to two of our reliable family oral historians, Louise Jenkins - Snell the daughter of Wylie Stone - Jenkins and Walter Jenkins and Estella President - Allison the daughter of Veda Sone - President and * President, that knew "Papa" Stone as their grandfather he had a 2nd Family and a church in Far Rockaway ( between Brooklyn and Queens) New York and a daughter name Julia Stone). William "Papa" Stone expired on April 27, 1938 at his daughter Estella "Tartar" Stone - Freeman and son - in- law Robert "Bob" Freeman 's home located at 209 Water Street, Wrens, Ga. "Papa" Stone is buried at the Stone and Brown Family Cemetary located at the Sprinfield Church Cemetary. Located between Wrens and Louisville, Ga. off of Route 1 and Terrell Road. Fannie Stone expired on July 19, 1942 and is buried in Cleveland, Ohio. Our Stone Family Roots Wrens Ga. 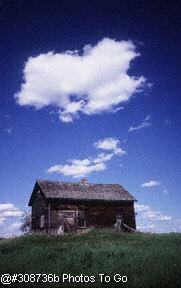 The above Stone Family Oral History was gathered, complied and orginally authored in 1987 by one our family historians and Elders Ruth Freeman. Since then several family members have been essential in their efforts to make sure we have access to this valuable ancestry information and the opportunity to build upon it. How Can I Help You With Your Quest? Live Chat In Real EST Time. Limited Session. GenealogyToday.com - Genealogy help for newbies, family researchers, genealogists and profesionals. "Free" Internet "Secrets" To Share With You.